Should I use my camera’s Portrait mode when shooting Portraits or would I be better off manually setting my camera up? Unless you have a high end DSLR, most digital cameras these days come with an array of shooting modes (including portrait mode) for a photographer to choose from when out using their camera. These shooting modes are designed to help camera owners to quickly tell their camera what type of shot they are taking to give the camera a hint at what type of effect you want. The results that your digital camera will give you in these modes is often quite good – however they do take the chance to be a little creative with your photography away and if you’re someone wanting to improve your photography you’re less likely to learn how to use your camera effectively by sticking to them. So how do you set up your camera to get great Portrait shots without having to use Portrait Mode? As with almost all questions that we explore here at Digital Photography School – this one will have a variety of answers depending upon your photographic style, the camera that you’re using and the type of portraits that you’re hoping to achieve – however let me share a few starting points that will hopefully give you some good results so that you can then start experimenting (note: it might be helpful to have read my previous post on Exposure if you’re a beginner – hopefully this will help you get some of the concepts I’m explaining below a little quicker). When I’m photographing portraits I generally switch my camera away from any of the Auto modes into Aperture Priority Mode. This enables the photographer to choose the aperture that they want to shoot at while still allowing the camera to make decisions about shutter speed (to ensure well exposed images). If you’re a more experienced photographer you might want to try out full manual mode – but Aperture Priority mode will probably do for most of us. The actual aperture setting that you choose when in Aperture Priority Mode will vary from situation to situation and between camera/lens setups – but in most cases you’ll probably want to start with a fairly large aperture as this will decrease the depth of field in your shots (this is what portrait mode generally does). This will help to ensure you have a nice blurry background. The beauty of this type of setting is that it leaves your subject as the only element in focus – highlighting them as the main focal point and removing any other distracting elements (read more on using aperture to get blurry background). Keep in mind that if you have a very fast lens that choosing the maximum aperture available can decrease the depth of field to a point where some parts of the face of your subject are in focus while others are not. Also the very maximum aperture might mean you are not shooting in your lenses sweet spot. Pull it back a stop or two and you might get a slightly sharper image – the key is to do some experimenting if you have the time to do so. The ISO setting that you use will vary depending upon the lighting situation that you’re faced with – but in most cases you’ll want to decrease the amount of grain or noise in your shot by selecting a low ISO (I try to stick to the 100-200 range). The main thing to watch when selecting an ISO setting is what impact it has on your shutter speed. Sometimes choosing a very low ISO will mean your shutter speed is just too slow for sharp images (I’ll talk about this below). If the shutter speed is too slow at the ISO you’ve selected you’ll either need a larger Aperture or a higher ISO. If you’re shooting in Aperture Priority mode as we’re suggesting above, the shutter speed will be selected by the camera automatically once you’ve selected the aperture and ISO settings that you want. However – if you choose to shoot in full manual mode you’ll need to pay attention to shutter speed. Because your subject is a moving one (even if they are trying to stay still) you’ll probably want to keep your shutter speed at least to 1/60 second or faster (1/125 is probably better, especially if you’re not using a tripod). The white balance that you will need to select when taking portraits will again vary upon the lighting conditions that you’re shooting in. Learn more about White Balance. Many digital cameras allow the photographer to choose between a number of focusing modes. At one end of the spectrum the ‘Auto Focussing’ setting on most cameras will use multiple focussing points to determine where to focus. At the other end of things is a manual focussing mode where the photographer has complete control. In the middle is often the option to focus the camera on a single point in the frame. While the multi point AF setting will generally get things pretty right in most normal shooting conditions, in some situations it is helpful to be able to use either manual focusing or the single focussing point options (particularly in lower light). I personally prefer the single point setting as it allows me to pinpoint the exact part of the face that I want in focus (almost always the eyes). 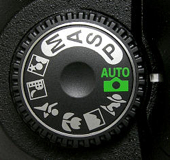 In a similar way, many cameras allow a number of different metering modes. Once again, on many cameras this ranges from a multi point system where the whole frame is taken into consideration when working out exposure levels through to a single point metering system (spot metering) where the photographer can pin point one small part of the image that they want the exposure to be base upon. Again, I often choose a spot metering mode when shooting portraits – particularly when the subject is backlit or where there are bright or dark parts of the image that could skew the results. i been using portrait mode for a while now and comes out very bright. so decited to take regular shots and use befunky photoshop thats free. and use the smooth mode in befunky and you got your self a professional shot. I am new to series photography aandd have learned much from your post. I find myself read and rereading ver and over. My favorite type of photography is landscape and I take most of my shot while on vacation or other outdoor setting from spring to fall. What are some tips to improve my photos? Hi, thank you for the nice article and for the useful techniques.. I would like to additionally know about the color setting in camera for best result of portrait photography so that I can get smooth and soft face tone. Should I stick to setting standard ( SD in my nikon d5100) or any custom setting that i can use ( like changing saturation, contrast, etc) . If then what should be the custom setting..
Would have loved a link to understanding the metering modes and the focusing modes..
Nice simple ideas when it comes to portrait photography and that's always a good thing, clear explanation and not to technical. Its a nice introduction to the idea of moving away from the pre-sets on so many cameras. Personally i run in manually most of the time, probably due to the control freak rampaging around in me ... it gives me a small bit more control over my shots than Aperture priority does, but Aperture is a good place to start and in fact I know a lot of people who prefer aperture Priority. Hey.. nice photo... tried to do a digital portrait with this ref... how can i share with u??? I use a single focus point also but didn’t think about using the spot metering mode. I’ll refer back to this article again. Thanks for share! often, the subject will smile and look directly into your camera, ready with a pose. I ask them to look elsewhere, and it makes a big difference. Also, asking them not to smile makes the shot more dramatic. for years ive been making a living taking crap photos and adjusting them in photoshop .. this year i will learn to use my cannon properly.. at the moment im just learning the basics .. before everything was on " A "setting. Excellent mini-tutorial. Learned something new. Great mobile site!! Good primer on portraits. The only other advise I'd offer is move in and engage your subject. Noobs always stand too far back. And what about if you want to shoot yourself? Manual focus and manual mode, than program the camera to autoshoot - just to have time to sit in front of it. This is how I take portraits with the Nikon D90. If shooting outside, arrange to meet subject early to avoid crowds, dog walkers, gawkers, etc. Subject is in complete shade to avoid harsh light and squinting of eyes. White balance is set to shade. Auto white balance often reproduces the shade's bluish tint. However, if the background of the shaded subject is brightly lit by sunlight, do not use the shade setting or your subject will appear far too warm. If you have a light meter, use it in aperture mode, with your dome up. You will get a more accurate exposure from the incident lighting than from the reflected lighting, which is what your camera's internal meter would read. Camera is in manual mode. Shutter speed adjusted to match reading from light meter. Decrease the time you spend in image-editing software by getting as close to the correct exposure as possible in your camera. To Jojo d'Souza: - flash at stage functions is often not permitted and is always intrusive. Try this: crank up your ISO to at least 1600. Set your camera to tungsten lighting to match stage lights. If the lighting is fairly consistent throughout the production, put your camera on manual exposure, zoom in as close as you can and take a couple of test shots to nail the exposure for faces. Then lock that setting in and uses it throughout. Your pictures will follow the moods and lighting changes of the production instead of the camera trying to second-guess them all the time. Meters are thoroughly confused by small actors and large dark stages. If your camera has it, set it to follow-focus (Canons call it AI Servo or something), where it is continually autofocusing. Set to continuous shooting and fire off bursts of 5 to 10 shots to capture fleeting expressions. If you have the luxury of moving around (and even if you're stuck in your seat), use a monopod. You may find you can drop your ISO somewhat. Great tips on this site - love it! Of late I have been leaving my camera in manual mode and letting the camera teach me and coming here has shown me I am on the right track, your tutorials and advice are much appreciated and look forward to being a better photographer because of this fantastic support offered by you, thank you Darren Rowse. what's even better is the fact that you don't even need an expensive dslr camera to achieve the looks on all of those portrait shots. all you need is a point and shoot 10 megapixel camera and adobe photoshop. if you know how to use photoshop effectively, all of those effects can be easily mimicked. one HUGE tip for anyone wanting to achieve a softness to your portrait/landscape/whatever pictures: create a duplicate layer in photoshop, desaturate the layer, then use a gaussian blur setting of 6-10 pixels, and change the layer to "overlay", "soft light", or "darken", and if you don't want the whole picture to have a "softened" look, just add a layer mask to the duplicate layer, then use the paintbrush tool tool to erase the areas you don't want "softened". Great article. I use a single focus point also but didn't think about using the 'spot' metering mode. Hmm. How do you use the single point focus and the spot metering at the same time? I'm still getting up and running with the Lumix dmc-lx3. I can only use both of these tools if I manually set the exposure, right? If this is an insanely stupid question please forgive me. And always remember..... good photography has NOTHING to do with the camera, or the length of your lens! Thanks for the great post. I'm new to portrait photography and rely on the "portrait mode" way too much! Now I have some new things to try out over the weekend...thanks again. I use the macro mode on my camera for non macro shots and have ended up some nice shots. Great post! Regarding the metering mode, in my experience it is really useful in bad-lit situations but in some cases may overexpose background and so you makes you lose all you're nice blurry background. Great article. Thanks for the tips. Only that the sample photos you - of great portraits - that you use here - are all taken with ... top end dSLR cameras! Wow great tips for the budding amateur photographer. to Beginner: flash is needed depending on the setting of your shot. are you shooting outside, inside, or under a tree thus providing shade(best kind of light), is it dark, after sunset? respectfully, use your common sense, and play with your camera's settings. great article darren...short, simple, and to the point,... excellent! and thank you! Great basic information and presented in a very easy to understand way. Wow, that is like so cool. Good stuff dude! is flash needed when photographing portraits? Once again a nice introductory article! The nice thing is that these little write ups cover the 20% of issues that cause 80% of the problems! I'd second the careful with using a large aperture... I recently did a large number of portraits of my infant and some of them came out really good - except that his hand would come out blurry because it was just inside the focus range, or his head was partially just beyond it. Since then I carry a small tape measure in my bag, along with some charts showing depth of field. I am sure most people get an idea into their head of what is about where - but I still need the charts to feel better. I also try to get in the lens's sweet spot and then move the camera closer or father to work with the DOF when I can. Great information here, I am constantly reminded to take the shot and play with the dials and buttons. I would like to comment about shooting RAW and a huge Memory Card. I shoot nothing but RAW, I tried a big card, last weekend at a shoot and found that once the card was about 3/4 full, the files loaded slower. Next time, I will shoot with a few more cards in my kit. Another tip (covered in plenty of places elsewhere too) is to use a huge memory card and shoot in RAW format. I always use this format now, and it means that I can change the white balance and colour format after I've taken the picture, which saves me from either having to think about it at the time, or let the camera make the colour/WB decision for me. A high-capacity memory card is a must for this though - if you use RAW format and automatic bracketing you can very quickly amass several Gigabytes of pictures. When I look at something and decide it would be good to take a photo of, I get my camera and take a shot. Usually it comes out nothing like the way I want it to the first time, like my camera is colourblind or something. I fiddle with the settings and end up trying them all until I find something that looks okay - but if I really want to express the way I see it, I would have to draw or paint it myself. Sophisticated auto-focus cameras have functionality and capabilities that often must be subverted when attempting creative portraits. Multipoint focusing schemes are exactly what you do not want in this case. And though blurring effects can be introduced with such software as Photoshop, this hacked repair job is far less desirable than the the technique of identifying an optimal plane of focus of the subject and throwing everything else out of focus by employing a very wide open aperture. Program modes won't do that. Hence, at least some manual control, and alteration of settings will almost outsmart the program mode. WHEN I WAS TRYING TO LEARN ABOUT THE DIFFERENT SETTINGS ON MY CAMERA, I WOULD TAKE A SHOT ON FULL AUTO, LOOK AT INFO THE CAMERA SHOT, MOVE IT TO MANUAL MODE WHERE I COULD USE MY CREATIVITY FOR MY DESIRED SHOT, IT IS AMAZING HOW THE SAME SHOT CAN LOOK SO DIFFERENT JUST AJUSTING THE SETTINGS JUST A LITTLE. On a recent outing, I took several pictures of a friend's child using Aperture Priority. I know exposure basics, so I thought this was I became disappointed when most of the images seemed flat and unappealing. In frustration, I threw the camera into "Child Mode", and suddenly my pictures had the rich, warm tones that I had been looking for. I reviewed the EXIF data to see what the D50 had done differently than I had and noticed that it had altered the color mode from what I had been shooting in. I don't know if I have the mental capacity to juggle color modes at this point as well. It's enough to make me give up digital altogether and just work with film. In June, I took a portraiture course and all these elements were included. This is a great refresher for me from that class with some extra info as well as I wasn't too successful with the white balance thing at all. I'll refer back to this article again. Thanks! All valid points, for DSLR users use Exposure bracketing!! In strong light conditions (in australia we have a lot of that) watch out for the shadows on subjects face. If you can shoot in shade or try using the flash. When I shoot photos I typically do not adjust the settings. Then when I sync the camera up to my pc I usually adjust the orientation then.